We have updated the looks of our Spiderman trains. You now have 3 versions to choose from. 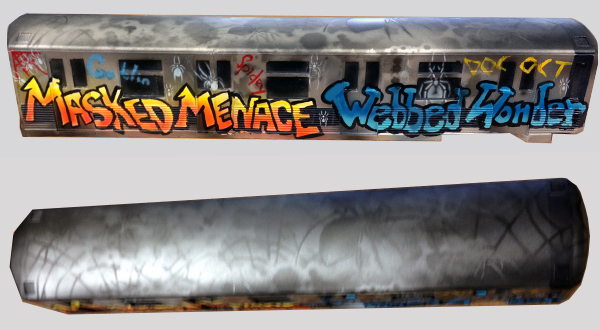 The standard Silver train, Silver train with graffiti and a red train with graffiti.